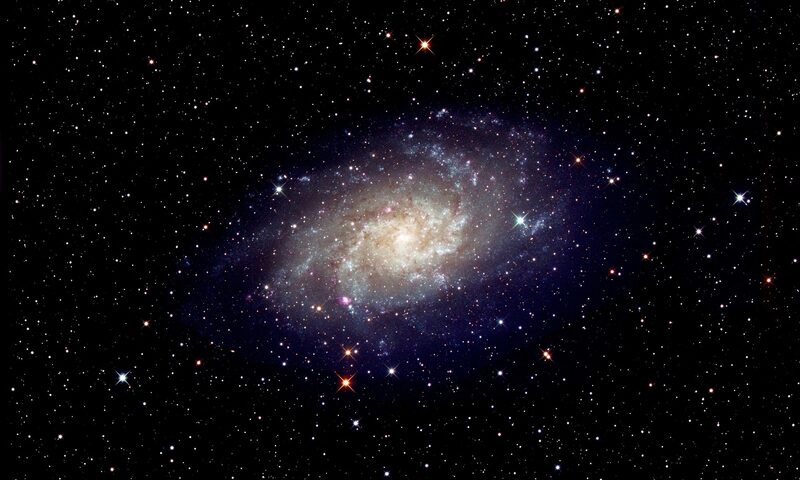 This is just one of close to 40 articles in the author’s Astronomy Digest. A rewarding way of observing the Sun is to use a telescope designed to view the H-alpha emission produced by excited hydrogen. They image hydrogen plasma mainly in a region called the chromosphere which lies above the photosphere. Not only can they show the granulations on the solar surface but great detail in the sunspot regions. Against the Sun’s surface are sometimes seen dark filaments; as these rotate round and reach the Sun’s rim they appear as beautiful prominences arching up into space. 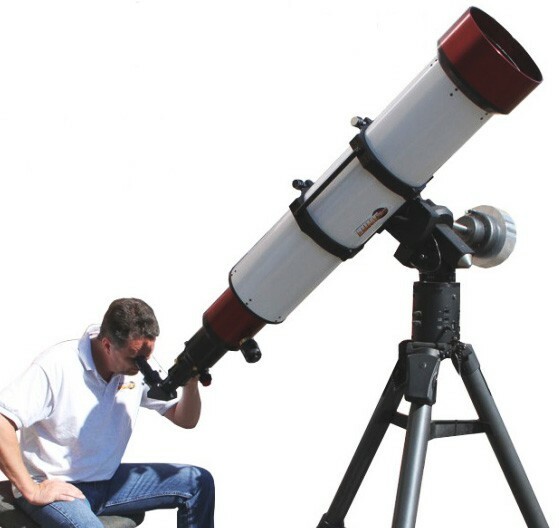 These telescopes are quite complicated and hence very expensive for their aperture but are certainly a worthwhile investment making solar observing more rewarding than using a standard telescope equipped with a suitable white light filter. How do they isolate the H-alpha spectral line? 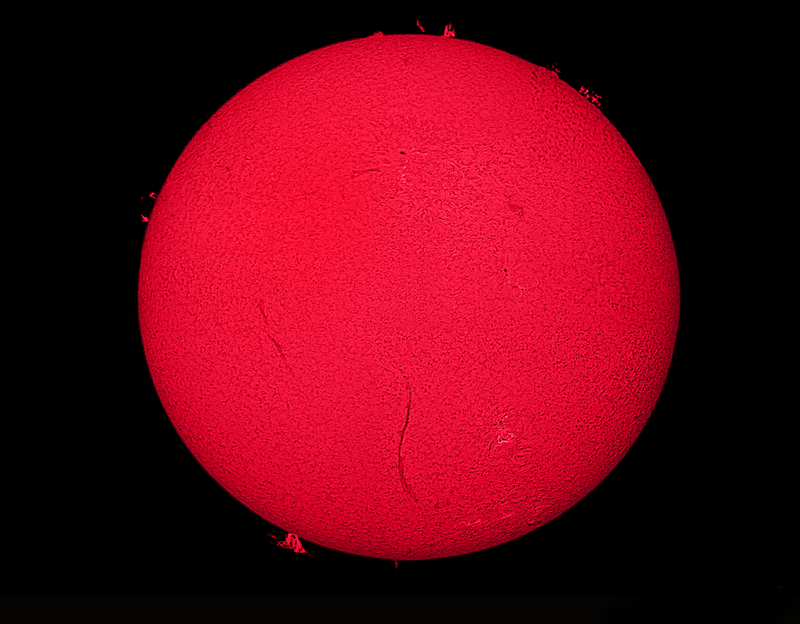 To reveal this wonderful view of the Sun a hydrogen-alpha (H-alpha) filter must be designed to produce a very narrow pass band around the wavelength of 6,562.8 Ångströms and the way that this is usually achieved in a two stage process that is somewhat more complicated than many imagine. At some point either within the telescope tube or in front of the objective lens is located a Fabry-Perot etalon composed of two sheets of glass in very close proximity. They produce a comb of very narrow pass bands (~0.7 angstroms wide) spaced about 10 angstroms apart across the whole of the visible spectrum. The etalon will reject ~90% of the total sunlight but this is not sufficient to provide a safe viewing level so that there will also be an energy rejection filter to bring the light level down to a suitable level. This will also block all the infra-red light which is most damaging to our eyes. Following a further filter to reduce the light intensity placed at the front of the diagonal there is a final ‘blocking filter’ at the exit of the diagonal which selects only the narrow band centered on the H-alpha line so removing all but the H-alpha emission. It is important that the light passing through the etalon is a collimated parallel beam at right angles to the optical axis. The obvious way to achieve this is to place the etalon at the front of the telescope before the converging lens and this is done in many solar telescopes. (As the Sun has a significant angular size, even then the light is not quite a plane wave.) However, etalons are very expensive and an alternative approach (which has allowed the cost of solar telescopes to be reduced) is to place the etalon within the optical tube where the light cone has become smaller. The light passing through it must still be in the form of a plane wave so a diverging (concave) lens is placed in front to provide a collimated beam through the etalon with a second (convex) lens following the etalon that is used to bring the sunlight to a focus. For example, the Coronado SolarMax II, 60 mm, aperture solar scope uses an internal etalon ~40 mm across, reducing its cost by almost 50%. The same approach is used by the Lunt Solar Systems telescope whilst the Solarscope range uses a full aperture etalon which explains why their cost is higher. It is said that with the use of a full aperture etalon it is easier to provide a solar image which has equal detail and contrast across the full disk. I have been able to use a Solaview SV60 and it does produce a high contrast and well detailed image across the frame. The use of sub aperture etalons can sometimes give rise to ‘sweet spots’ across the image. The effective separation of the etalons internal surfaces and hence the precise wavelengths passed, depends on the refractive index of the air between them. This will depend both on height and atmospheric pressure so the effective spacing must be adjusted to compensate. One method − the tilt method − is to vary the angle of the etalon to the incoming light so that it takes a slightly longer path to pass between them (like crossing a road at different angles). This method is used by Solarscope in their Solarview series and also found in some of the Lunt H-alpha telescopes. A second method, employed in the Coronado H-alpha telescopes, and called ‘Rich View’, is, I believe, to apply pressure to the etalon (there is a pad at the centre of the etalon) and so alter the separation of the two glass sheets. Many H-alpha scopes can be ‘double stacked’ to narrow the H-alpha wavelength band and so enable finer detail to be seen on the surface. This narrower bandwidth is obtained by the use of a second, full aperture, etalon placed at the front of the telescope and tuned using the tilt method. By offsetting the two band passes slightly, a slightly dimmer but narrower combined pass band is produced. Using two stacked 0.7 Å etalons together typically provides a bandwidth of 0.5 Å. The cost is quite high with that for my 60 mm Lunt telescope being ~£2,200. 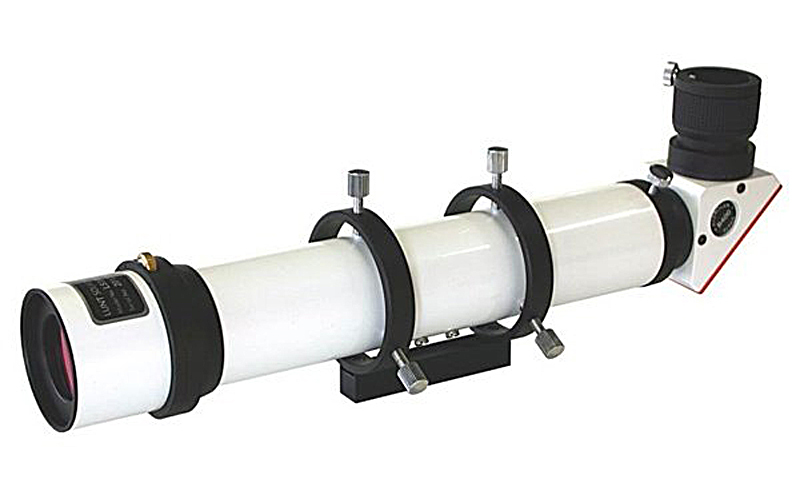 Rather than purchasing a dedicated solar telescope, it is possible to buy, an H-alpha observing kit to convert a normal refracting telescope into an H-alpha telescope. All the major manufacturers provide etalons with apertures ranging from 40 mm in clear aperture upwards − with larger apertures giving the potential for higher resolution − along with the required blocking filters. A point to note is that, as only a single wavelength is being imaged, the telescope does not even have to be an achromat, it is only important that spherical aberration is well corrected. As an example, Lunt Solar Systems sell an H-alpha conversion kit for 100 mm refractors of focal length less than 540 mm which includes a full aperture, tilt tuned, etalon and diagonal incorporating a 6 mm blocking filter for ~£6,600. Diagonals incorporating larger blocking filters, so allowing longer focal length telescopes to be used, can purchased instead at greater cost. Their 60 mm conversion kit costs ~£2,500, which is more than the cost of some versions of complete Lunt 60 mm H-alpha telescope. The reason is that a full aperture etalon is employed rather than the smaller (and hence lower cost) etalons in their H-alpha telescopes. 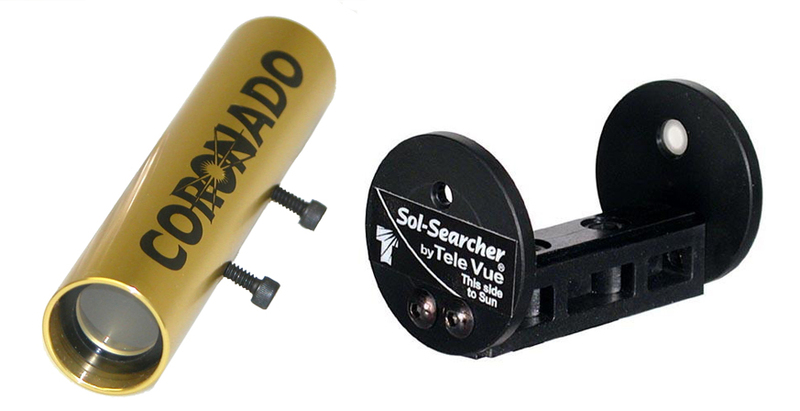 The Lunt Solar Systems and Solarscope telescopes are equipped with TeleVue Sol-Searcher finders whilst the Coronado telescopes are equipped with their own Sol Ranger finder. Both project a circular disk (not an image) onto a translucent screen at their rear. These, at the exit of the diagonal, select out the correct narrow band produced by the etalon. If one looks at the telescope specifications it is seen that blocking filters of differing sizes are available with the larger diameter filters costing significantly more. 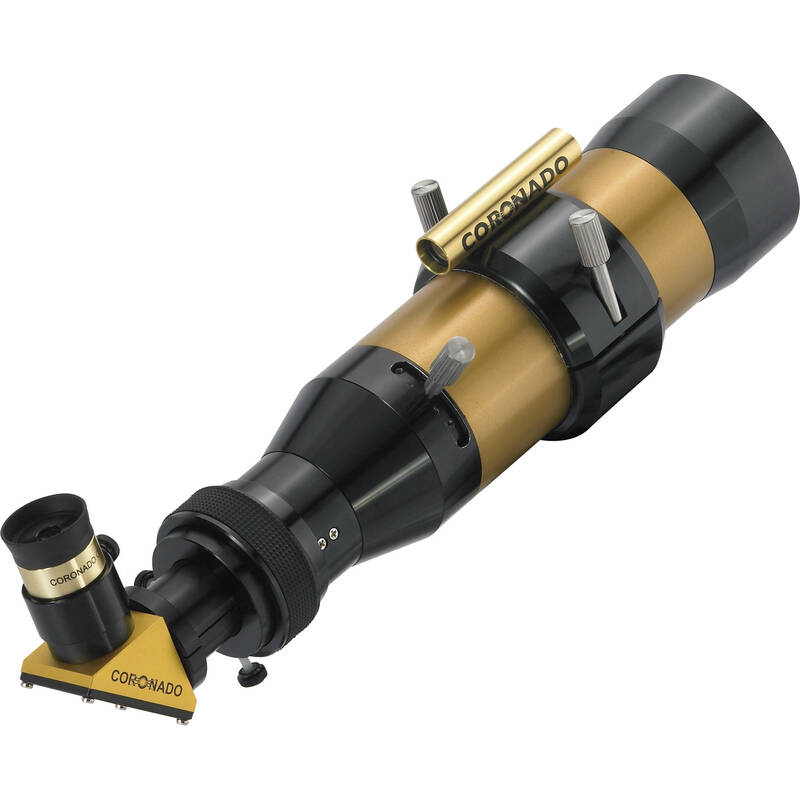 Coronado telescopes usually employ 5, 10 or 18 mm blocking filaters. Lunt Solar Systems provide blocking filters of 6, 12 and even 34 millimetres aperture and the Solascope telescopes employ one of 19 millimetres in diameter. The smallest one that is provided for a perticular telescope will be fine for visual observing of the full solar disk with most eyepieces. For imaging purposes, this size should be sufficient for use with webcams as their sensor can be close to the filter however, if DSLR cameras are used, larger diameter blocking filters are suggested to eliminate vignetting and would certainly be needed if a bino-viewer were to be used. A new system called the ‘Daystar Quark’ has recently become available for isolating the H-alpha line. The latest version is a combination of Barlow lens, blocking filter and etalon that, with refractors of 3 inches or less and focal ratios of from f/4 to f/8 can simply be used with a suitable eyepiece. 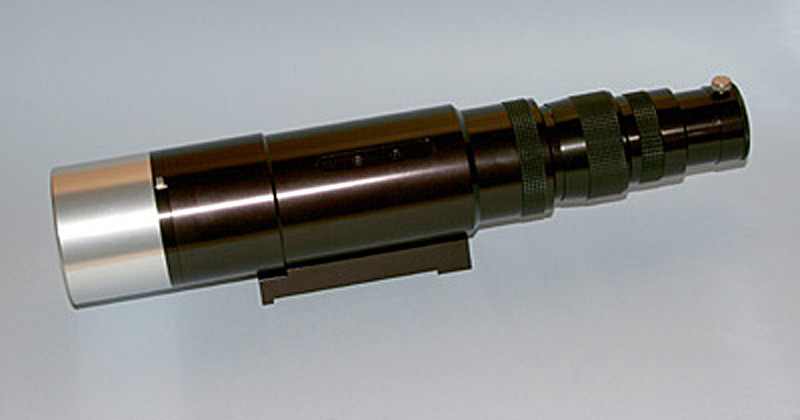 The Barlow lens is optimized for use at the H-line wavelength and gives a magnification of times 4.3 so an f/7 telescope would operate at f/30. This is good as it will increase the image size on a camera’s sensor if used photographically. For visual observing it means that a longer focal length eyepiece can be used − the range 25 to 40 mm is suggested. For larger refractors − which will, of course, give higher resolution results − an energy rejection filter (ERF) must be placed in front of the diagonal or, better, in front of the objective. The cost of a full aperture ERF is ~£1100. The Daystar Quark is tuned by adjusting the temperature of the etalon and requires a 5 volt supply at 1.5 amps. When powered up it takes about 10 minutes to stabilize at which point a status LED turns green. A tuning knob allows the band pass to shift in the range +/- 0.5Å with detents at every 0.1Å. When shifting the band pass a further few minutes is required for the etalon to stabilize. One point to note is that, to protect the etalon, it must not be exposed to temperatures below +5 degrees Celsius (40 degrees Fahrenheit) and should be kept in a container with a desiccant pack in a warm house when not in use. The blocking filter has a diameter of 12 mm. This is perfect for visual use and when using small sensor cameras – the use of monochrome webcams will give the best results as they will mitigate the effects of atmospheric turbulence. Large sensor DSLR cameras might experience some vignetting towards the corners of the frame. Two versions are available at the same cost. The ‘Chromosphere’ version has the narrower bandpass of 0.3 – 0.5 Å. This is roughly equivalent to a double stacked solar telescope and will show superb detail on the solar disk. 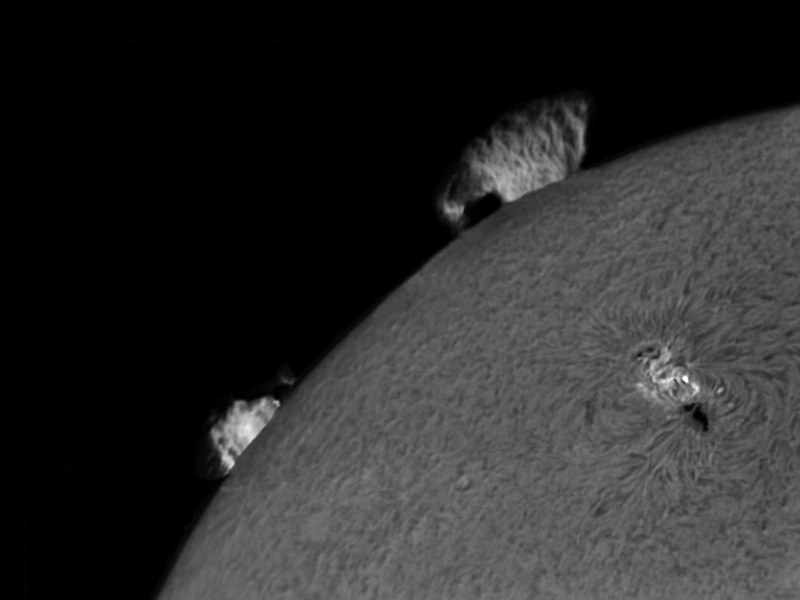 [I have observed the Sun through a double stacked 60 mm Coronado H-alpha telescope and the image was stunning.] This bandwidth is, however, too narrow to see the prominences well, as due to Doppler shifts in wavelength they may well be outside the very narrow band pass of the Chromosphere version so Daystar also provide a ‘Prominence’ version having a wider band pass of 0.6 to 0.8 Å. This is similar to the band pass produced by a single etalon H-alpha telescope. Though primarily designed for use with refractors, they can be used with, say, Schmidt-Cassegrain or Maksutov telescopes provided a small aperture, off axis, energy rejection filter (~90 mm in diameter) is placed over their aperture. In principle, Daystar provide a suitable design ‘widget’ on their website but, at the time of writing, this was not operational. One might, however, find that the effective focal length of the telescope/Barlow combination was too great so only imaging a small part of the solar surface at one time. 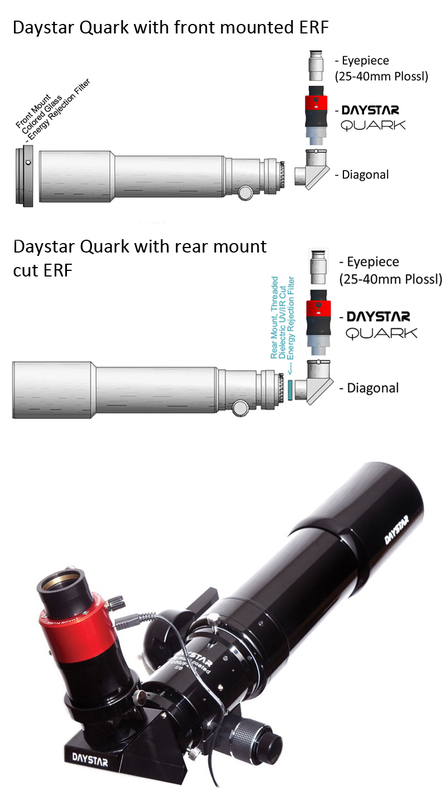 By being able to work (using a suitable energy rejection filter) with say, 120 mm aperture refractors, the Daystar Quark does give the prospect of higher resolution imaging at far less cost than that a dedicated solar telescope of similar aperture. I have had no direct experience of the Daystar Quark to pass on, but there are many posts about its use on the web from users of this innovative product and Daystar provide much information on their website. Both Lunt Solar Systems and Coronado provide relatively low-cost H-alpha telescopes. 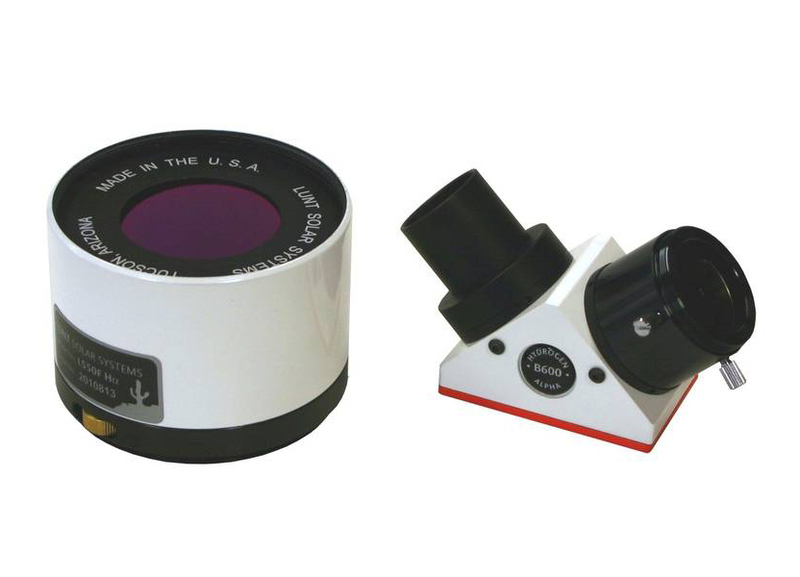 The Coronado offering is the ‘Coronado PST’ for personal solar telescope. This has a 40 mm objective and costs ~£880. I have been impressed by the quality of images produced by a colleague’s PST, one of which is shown below. 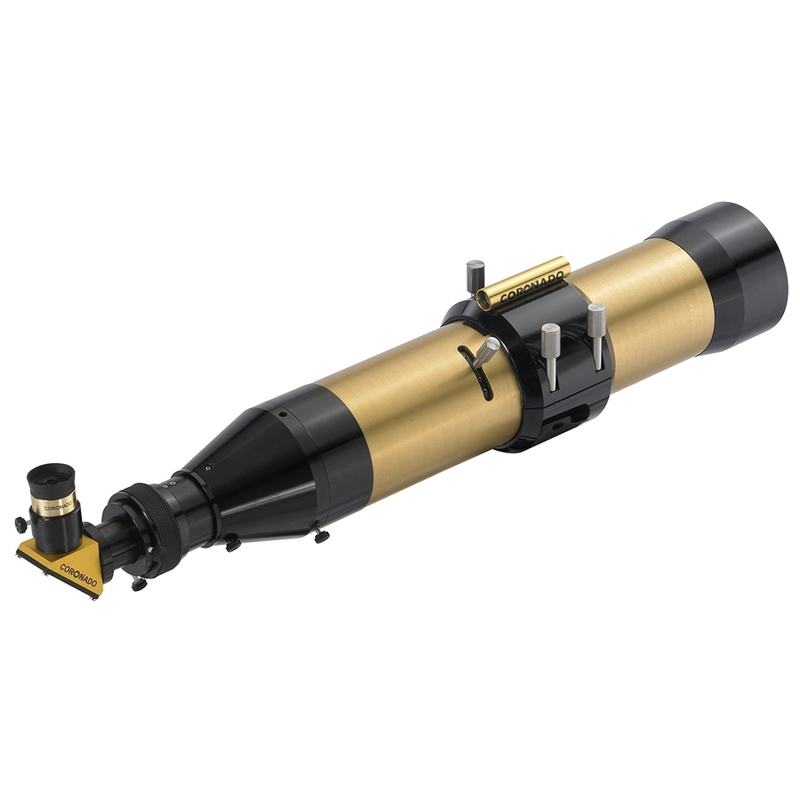 Lunt Solar Systems produce the LS35THa telescope, available at a cost of ~ £849. This uses a full aperture (very good), tilt tuned etalon and a 4 mm blocking filter. This will be fine for visual and webcam imaging. 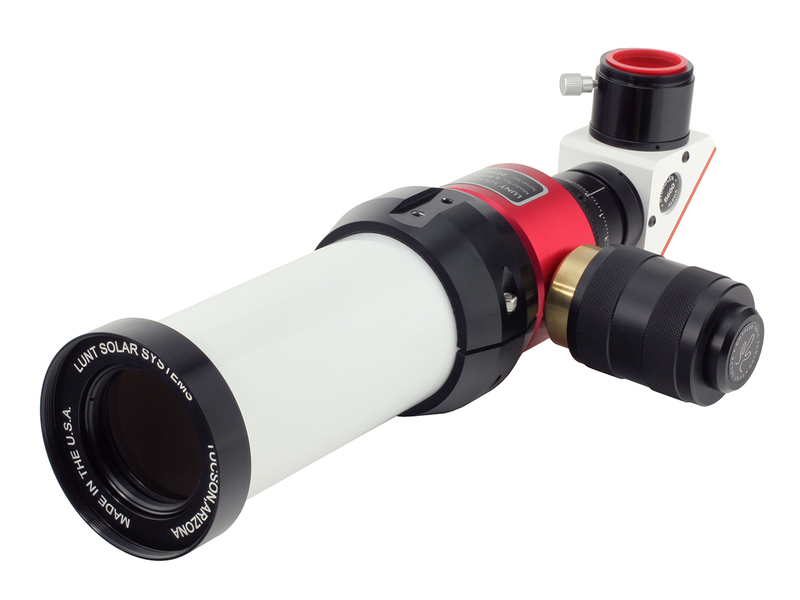 At greater cost, the deluxe version includes a 6 mm blocking filter, a Sol Searcher finder, 10 mm eyepiece and adjustable rings and dovetail plate. The Lunt LS50THA pressure tuned telescope costs from ~£1,126 and seems to me to be a very good buy. This uses a 4 mm blocking filter. For ~£1,258 it can be obtained with a 6 mm blocking filter. A double stack full aperture etalon can be added for ~£1,300. Lunt also produce the LS60THa DS50/B1200FTPT which is a double stacked telescope using a combination of the 60 mm aperture pressure tuned telescope and a 50 mm external etalon. It employs a 12 mm aperture blocking filter and Feather Touch focuser at a cost of ~£4,500. Solarscope telescopes, produced in the Isle of Man, provide a SV50 telescope using a full aperture, tilt tuned, etalon. It is provided with a Televue Sol Searcher finder and mounting plate. The telescope is beautifully made but, as a full aperture etalon is used, costs considerably more than those using sub-aperture etalons. After the Coronado PST, the Coronado Solarmax II 60 mm and Lunt 60 mm in a number of varieties are the next best selling H-alpha telescopes. 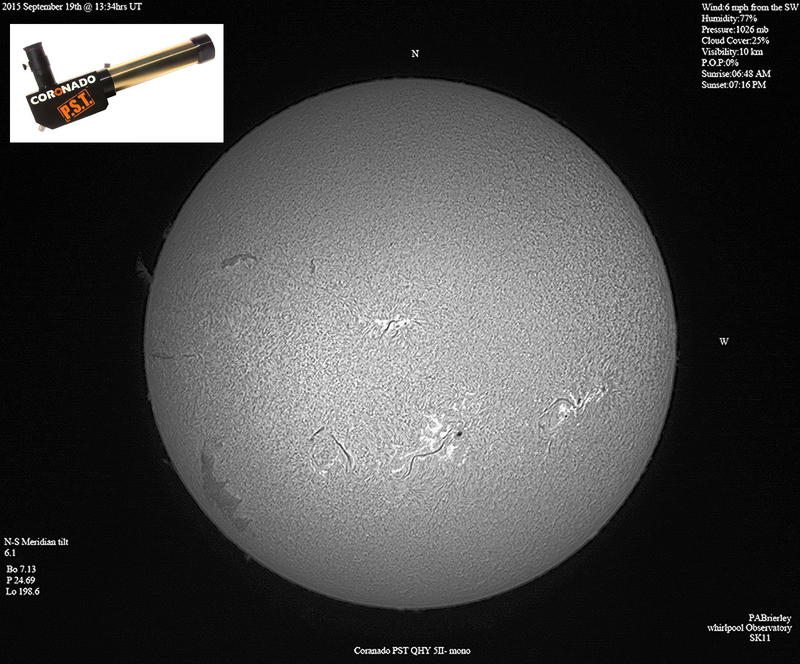 Meade produce the Coronado SolarMax II 60 BF5 H-alpha telescope employing a ‘RichView’ tuned internal etalon. It has a dual focussing system; an extension tube is used to obtain a course focus and then a helical focuser is used for fine focussing. As the catalogue number implies, a 5 mm diameter blocking filter is included. 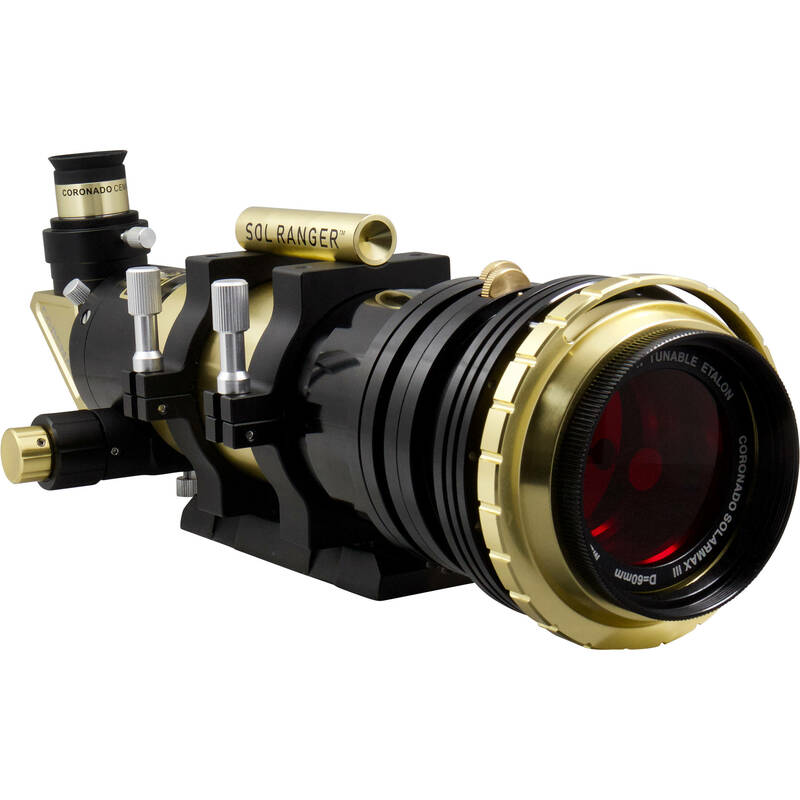 It includes mounting rings, 25 mm CEMAX eyepiece and Sol Ranger finder. The cost is about £1,600 and can also be bought with larger diameter blocking filters at additional cost. I must admit that, if I did not already have a 60 mm Lunt pressure tuned H-alpha telescope, I would strongly consider buying one of these. Note the 60 mm etalon used and a pad at its centre – part of the ‘rich view’ tuning method. Lunt Solar systems produce quite a range of 60 mm H-alpha telescopes covering two types of etalon tuning and choice of focuser. The cheapest of the range is the ‘LS60THa/B600C’ which uses tilt tuning of its sub-aperture etalon, has a 6 mm diameter blocking filter, employs a Crayford focuser and costs ~£1,800. Further models employ a 12 mm blocking filter with the ‘LS60THa/B1200C’ costing ~£ 2,200. It the telescope is equipped with the superb Feather Touch focuser the cost of the ‘LS60THa/B1200FT’ increases to ~£2,775. Two further models use their innovative pressure tuned etalon. The LS60THa/B1200CPT uses a Crayford focuser at ~£2,600 with the Feather Touch focuser equipped model costing ~£3,200. 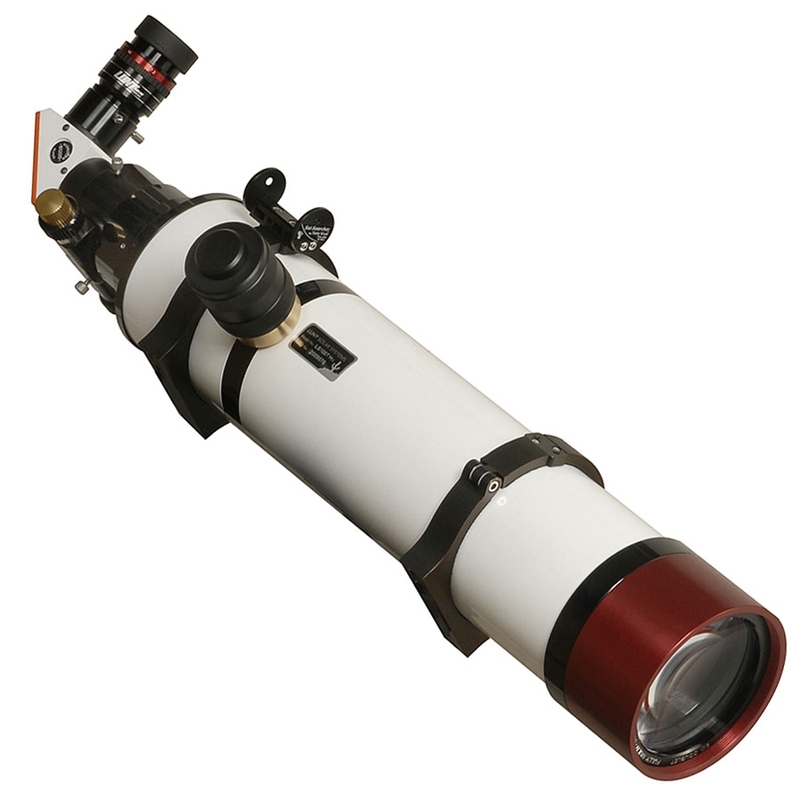 A full aperture tilt-tuned etalon to provide a double stacked telescope costs ~£2,200. 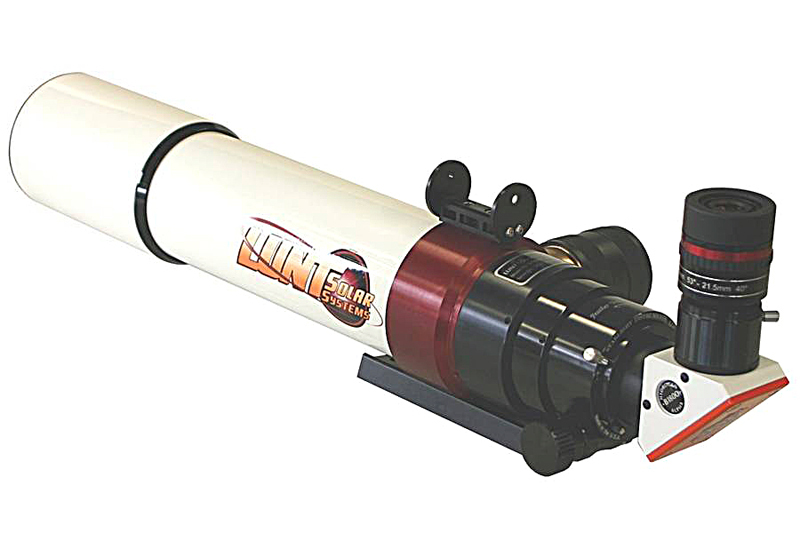 Lunt Solar systems provide three versions of their 80 mm aperture telescopes. All employ pressure tuned sub-aperture etalons. 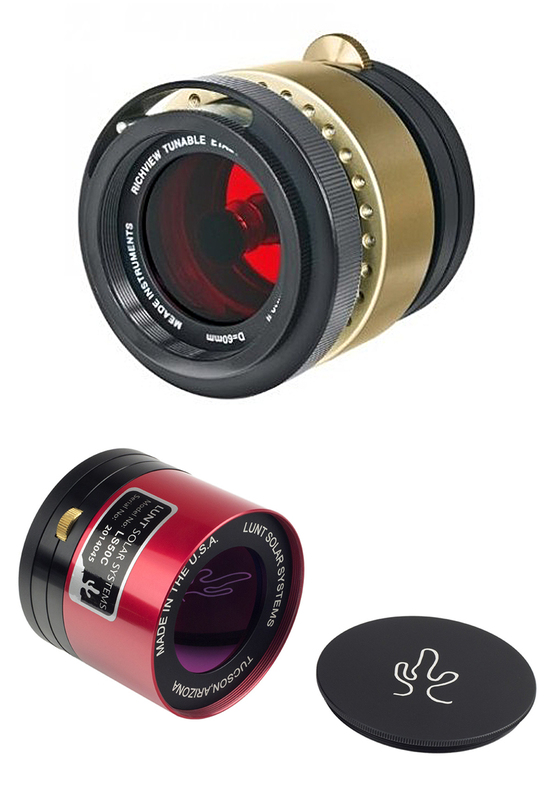 Two are equipped with 12 mm aperture blocking filters with the LS80THa/B1200CPT using a Crayford focuser costing ~£4,400 whilst the Feather Touch focuser equipped LS80THa/B1200FTPT costs ~£5,000. The LS80THa/B1800CPT costs ~£5,500 and employs an 18 mm aperture blocking filter so making it ideal ideal for use with bino-viewers or DSLR cameras. 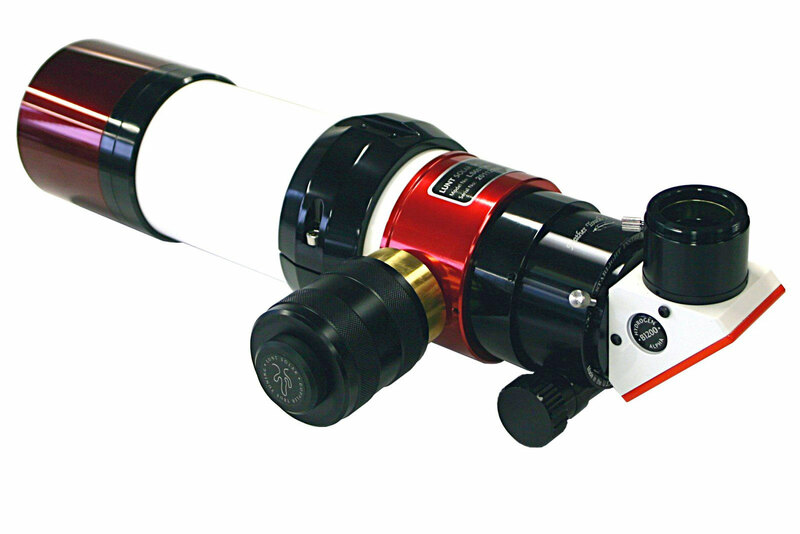 Meade produce two Coronado 90 mm aperture solar telescopes. The less expensive, at ~£4,400, employs a 15 mm blocking filter whilst for ~£5,400 one can obtain one with a 30 mm blocking filter for use when imaging with large sensor cameras. A fully integrated double-stack telescope with 15 mm aperture blocking filter costs ~£7,350 whilst that with a 30 mm blocking filter is ~£8,350. Lunt Solar systems provide a 100 mm solar telescope using an internal pressure tunes etalon, 12 mm aperture blocking filter and Feather Touch focuser for ~£6,000. At extra cost it can be equipped with diagonals including 18 mm (~£6,400) or 34 mm (~£7,500) blocking filters; the latter for use with large area imaging sensors. They also provide an internal, pressure tuned, double stack, filter for ~£2,400. As with other double stacked H-alpha telescopes this reduces the bandwidth to <0.5 Å to gain more detail on the solar surface. 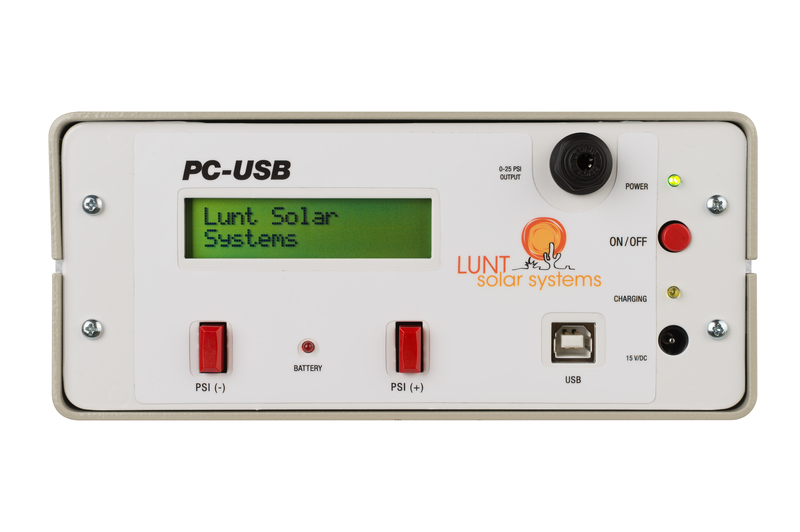 Lunt Solar systems provide a 152 mm solar telescope employing an internal pressure tunes etalon, 12 mm aperture blocking filter and Feather Touch focuser for ~£9,400 or with a 18 mm (~£9,800) or 34 mm (~£10,800) blocking filters for use with large imaging sensors. An additional internal, pressure tuned etalon can be used to double stack and so reduce the bandwidth for ~£4,000. Additionally, it is possible to purchase an alternative focuser/diagonal whose blocking filter is tuned to the Calcium K line. At this short wavelength on sees further down into the chromosphere and great detail around sun spot regions is revealed. Equipped with a Crayford focuser, this costs ~£1,800. Lunt Solar Systems will provide for the princely sum of ~£28,000 their LS230THa/B3400 H-alpha Telescope. This employs a 34 mm aperture blocking filter and has a Feather Touch Focuser. As one would expect, the etalon is pressure tuned and the telescope is provided with the ‘PCUSB Pressure Tuner Controller’, described above, to make its tuning easier. 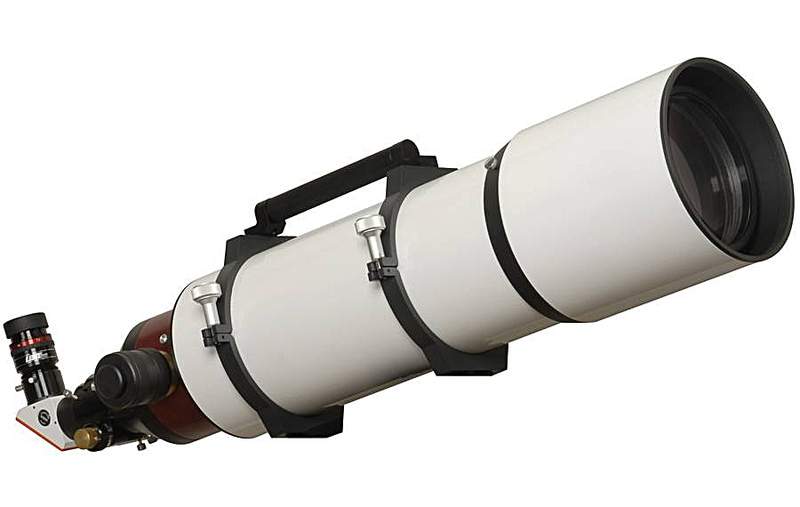 This 1,600 mm focal length telescope weighing 30kg will require a hefty mount! The optical tubes are modified Celestron EdgeHD Schmidt-Cassegrains (8, 9.25 and 11 Inch). 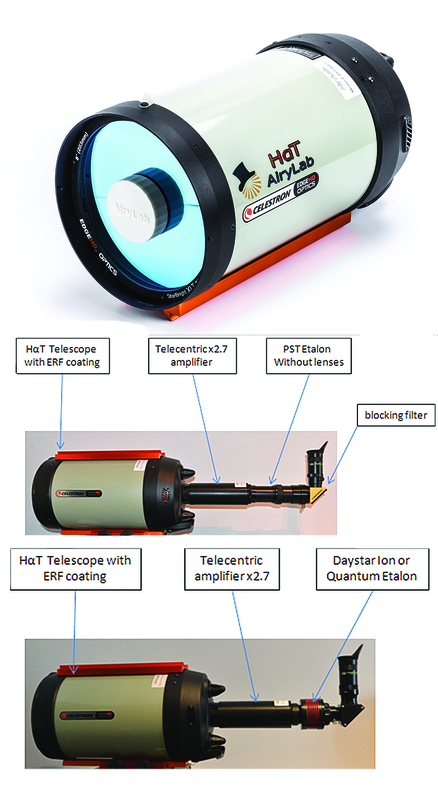 A special thin-film Energy Rejection Filter coating is applied to the corrector plate, and a custom-made telecentric amplifier is added behind the telescope to provide the parallel beam required by the etalon. The lowest cost versions would use the etalon from a Coronado PST but all the Daystar range of unobstructed Fabry Perrot etalons up to a field diameter of 44mm can be used for higher performance. One needs to contact Altair Astro for prices.